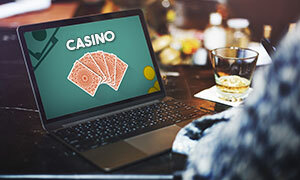 One of the newer online gambling websites on the Internet, 21 Casino seeks to provide players with the best possible gaming experience out there. Operating since 2015, 21 Casino has already formed a solid reputation for good conduct and business practices. It is operated by WhatHatGaming Limited, a Maltese company that also maintains several other brands, including SpinStation, Spinland, and GDAY Casino, among others. 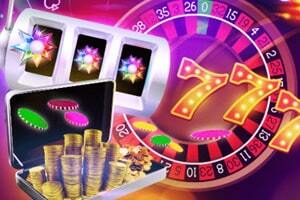 The primary attraction for 21 Casino has to be the large selection of games that users have at their disposal. This gambling website features all of the latest releases and offers hundreds of individual games to all customers. 21 Casino has only managed to acquire such a large gaming library by working with multiple software providers at the same time. In fact, the list of software providers is quite long and it includes Microgaming, NetEnt, Evolution Gaming, NextGen Gaming, Nyx Interactive, Leander Games, 1x2Gaming, Quickspin, Thunderkick and other renowned companies. As for the licensing of this gambling brand, you will be pleased to know that 21 Casino is licensed by multiple regulatory institutions, including certain very respected authorities. More specifically, the casino has licenses from the Malta Gaming Authority, the United Kingdom Gambling Commission, and from Curacao. This signifies that 21 Casino is a trustworthy operation and that it can be relied on to provide genuinely random outcomes of games. Customer support is available at all hours of the day and you have multiple ways to reach the agents when the time calls for it. These methods include live chat and email. Regardless of which method you choose to communicate with, you will always receive adequate help. 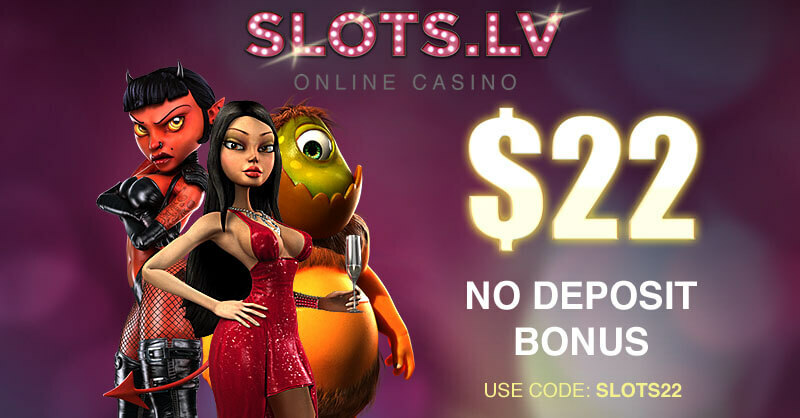 Online Since 21 Casino has been operating since 2015. Minimum Deposit/ Withdrawal The minimum deposit is £10 and the minimum withdrawal amount is £30. 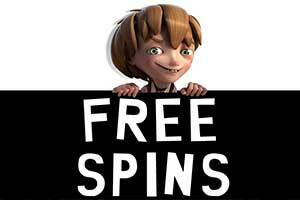 No Deposit Bonus The no deposit offer includes 21 free spins on Book of Dead. The wagering requirement is 35x on the winnings and the maximum bet is £5. New customers only. Maximum withdrawal £100. Expiration time of 10 days. 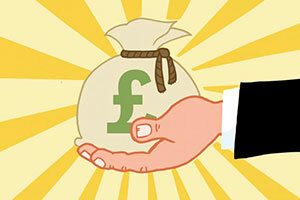 Welcome Bonus The Welcome Offer at 21 Casino includes a 121% match bonus up to £300, minimum deposit of £10. The wagering requirement is 35x the value of the bonus and the maximum bet is £5. The expiration time is 30 days from the moment the bonus is claimed. New customers only. Not available for deposits via Skrill or Neteller. Regular Bonuses Hangover Bonus: 21% deposit match up to £210 on the first deposit on Monday and Tuesday. Existing players only. The minimum deposit is £10 and the wagering requirement is 35x the value of the bonus. Maximum bet £5.00. Expiration time of 30 days. Loyalty Programme 21 Casino runs the Loyal Royalty programme. For every £10.00 wagered (both cash and bonus funds) players receive loyalty points. 200 loyalty points are worth £1.00 of bonus funds. Maximum redeemable amount in 24 hours is 10,000. Bonus funds need to be wagered 35 times. Popular Jackpots Popular jackpot games at 21 Casino include Romeo and Juliet, Angel Pricess, Paws of Fury, Vikings of Fortune, Wuxing, Mega Moolah, Divine Fortune, Mega Fortune, and Arabian Nights, among others. Game Types 21 Casino offers all of the popular game genres, including slots, blackjack, roulette, casino poker, video poker, baccarat, and live dealer games. Live Casino This gambling website offers live dealer gaming with support for the most popular table games in the industry. Players have at their disposal more than a dozen tables of casino poker, blackjack, roulette and baccarat. Mobile Casino Users can easily access the casino via their mobile devices. 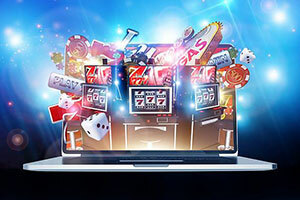 21 Casino has full support for mobile gaming and players can use both smartphones and tablets, so long as they have a stable Internet connection. Deposit Methods Deposit options include Visa, MasterCard, Maestro, Trustly, GiroPay, Sofortuberweisung, Paysafecard, Skrill, Neteller, Bank Wire, and Interac Online. Languages 21 Casino is available in English, Swedish, German, Finnish and Norwegian. Support Support is available 24/7 via email and live chat. Licenses 21 Casino is licensed by the United Kingdom Gambling Commission, the Malta Gaming Authority and Curacao. The primary attraction of 21 Casino has to be the immense selection of casino games at your disposal. It includes everything that you would ever wish to play and you can do so directly from the window of your browser. The instant play interface allows you to launch the game that you wish to play in a matter of seconds and it does not require the installation of any additional software. Below, we will explore the gaming library in detail and provide some examples of the better games that you will have at your disposal. 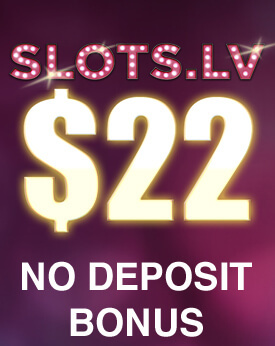 If you are into slots, then 21 Casino has a lot to offer you. This online casino primarily offers slots games of many different varieties. You will have at your disposal all manner of different games, each with its own unique theme and aesthetic. This, of course, means that everyone will find something to suit their taste. Starting with the all-time classics, you will be able to spin the reels of Book of Dead, Legacy of Egypt, Fruit Stacks, Starburst, Gemix, Tower Quest and more. But if you are looking for something specific, there are many options. Animal-themed titles are always interesting to play, specifically, Wild Scarabs, Respin RHino, King Kong Fury, Raging Rhino, Pandas Quest and more. If mythology is what interests you, you will be happy to know that there are plenty of those type of games at 21 Casino, with Zeus III, Zeus God of Thunder, Coins of Egypt, and more. NetEnt’s music-themed slots are also available and we are talking about Jimi Hendrix, Guns n Roses, and Motorhead. Classic slots are also available for those who like this sub-genre and you can spin the reels on Route 777, Mega Joker, Twin Joker, 7s To Burn and many more. 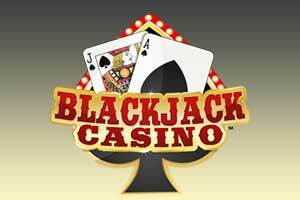 Blackjack is one of the most popular table games out there and it is one of the main genres that pose an interest for gamblers. Not only does it offer engaging and rewarding gameplay, but the decision-making aspect of the game makes it much more entertaining than many other game types. 21 Casino is host to a number of excellent blackjack variations from the most basic types to certain more exotic ones. More specifically, you will have access to titles such as Blackjack Classic and Blackjack Pro. These two variations also come in three different forms – a casual player version, the standard version, and one for high rollers. Other interesting variations include NetEnt’s Single Deck Blackjack Pro, which also features diverse betting limits like the two games mentioned above, as well as, Pontoon Pro. If you like to place side bets in your blackjack games, then you should consider playing Blackjack Perfect Pairs and Blackjack 21+3. Whether these side bets are worth the risk is up to you to decide for yourself. There are also other variations that might be worth your interest such as Blackjack 6 in 1, Blackjack Buster, Blackjack Suit’em Up, Lucky Lucky Blackjack and more. 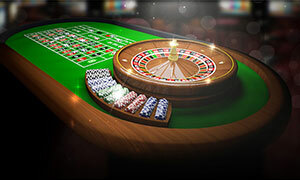 Another excellent option, where table games are concerned, is roulette, one of the most popular titles out there. As far as the available variations, 21 Casino primarily focuses on the traditional versions of the game. European and French Roulette are two of the most played variations of this all-time favourite game. Both come with 37-pocket wheels and feature a 2.7% house edge on Inside Bets. However, French Roulette offers a unique rule which reduces the house edge by half. The ‘la partage’ or ‘en prison’, depending on the version of the game, will bring down the house edge of even money wagers down to 1.35%, making them much more profitable in the long term. The most exotic variation of the original roulette game has to be Double Ball Roulette, which as you can guess plays with two balls instead of one. Naturally, the payout ratios have been adjusted to meet the new odds. The roulette titles at 21 Casino come with wide betting margins, allowing casual players, high rollers and anyone in between to enjoy them to their full extent. Video poker is always in high demand, especially on the Internet. This is arguably the youngest casino game genre out there, established in the 1970s. It combines the rules of poker with the inherent randomness of slots to create an amazing gambling experience. At 21 Casino, you will have at your disposal, some of the best video poker titles out there, including the most popular variations. Jacks or Better is one of the fundamental video poker variations in the casino world. Its gimmick is that the minimum qualifying hand is a pair of Jacks or higher. This version comes to use courtesy of Microgaming and it features a full 9/6 paytable. Moreover, the betting limits are quite wide, allowing for wager up to $25 at once. Aces and Eights is another Microgaming classic which places special emphasis on combinations with those particular cards. It comes with a return ratio of over 98%, making it one of the fairest casino games out there. You can wager up to 5 coins per hand, each with a maximum value of $5. Deuces Wild is one of the more exciting variations of video poker, where the 2s serve as Wilds and have the capacity to fill in for any other card in the deck. The maximum payout in this game is 4,000 coins for scoring a Natural Royal Flush. Up to 5 coins can be wagered on this game, each with a value of up to $10, resulting in a maximum bet of $50 per hand. If you are looking for a large profit then you may want to consider playing one of the progressive jackpot games. 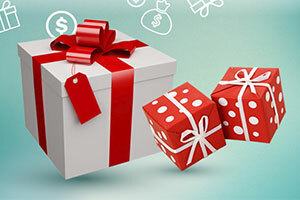 These feature prize pools linked together from all online casinos that offer a particular game. Those jackpots can rise to incredibly large sums, especially if the game is popular. Below, we will line out some of the best progressive jackpots that you can play at 21 Casino. Mega Fortune is a progressive slot with one of the largest jackpots on the market. Created by NetEnt, Mega Fortune portrays a life of wealth and luxury. It allows for bets up to $50 per spin and the Bonus Round triggers the mini-game and gives you an opportunity to win one of the four jackpots. Mega Moolah is arguably the most popular progressive slot on the Internet, coming to us courtesy of Microgaming. With a lighthearted Savannah theme, Mega Moolah offers players an entertaining gambling experience. This slot features 5 reels and 25 paylines, allowing you to bet up to $6.25 per spin. The progressive jackpot can be triggered on a random spin. Hall of Gods is another prominent NetEnt creation that has become an icon in the online gambling industry. Greek mythology is the inspiration for this slot and it gives you the opportunity to become as wealthy as a god. A six- or seven-figure sum awaits those who have luck on their side. Spinning 3 Bonus symbols on the third, fourth and fifth reels will trigger the bonus game where you can aim to win the progressive jackpot. Looking for that authentic casino gambling experience? Look no further than 21 Casino’s live casino section. Here you will find more than 15 tables of the most popular games in the genre. This includes roulette, baccarat, casino poker, blackjack and Dream Catcher. One of the best aspects of playing the live dealer versions is that they can accommodate every type of players, both casual ones and high rollers. The wide betting margins allow for wagers as low as $1.00 and going up into the hundreds. Does 21 Casino have a downloadable version? 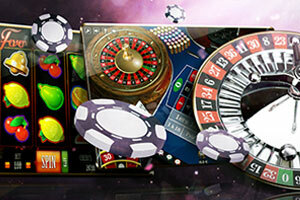 21 Casino uses fully modern software and has done away with the old way of online casino gaming. You will not have a downloadable client at your disposal and will instead have to rely on the instant play interface. It allows for direct gaming within your browser window and is generally a more efficient method to play. Mobile users have nothing to worry about. Much like any other 21st-century gambling website, 21 Casino offers full support for smartphone and tablet access. The casino uses the same instant play interface to bring the games to life on your handheld device. Granted, certain titles may not be available on mobile but the vast majority of the gaming library can be accessed without issue. What documentation do I have to submit to the casino? 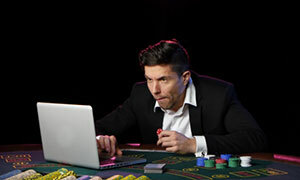 Much like any other online casino, 21 Casino requires users to send proof of identity once they request a withdrawal. This is done for a variety of reasons, namely to ensure that nothing illegal takes place, such as underage gambling or money laundering. Your identity will be confirmed within 2 business days and you can merrily receive your money.